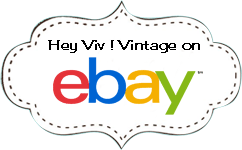 Vintage Gold Reversible Choker Necklace by Hey Viv ! Gold Reversible Choker Necklace - Vintage by Hey Viv ! 14 1/2" long with hook and adjustable chain. One side is a spiral design and the other side has flat ovals in groups of two. Wear it either way.